Bin Hindi Informatics W.L.L. (BHI) being an integral part of the A. A. Bin Hindi Group B.S.C. (C) and a recognized system integrator in the Kingdom of Bahrain, deals with technologies and comprises of two main divisions with ﬁve retail showrooms at convenient locations along with a plethora of provided services. Staying true to the groups pioneering spirit this division will soon be launching a second Samsung brand shop (ﬁfth retail shop) in Muharraq Seef Mall that will display and sell all Samsung products including televisions, home theatre systems, home appliances, cameras and other IT and Telecom products. 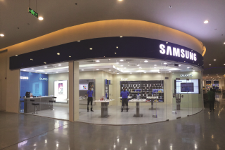 In its endeavor to come closer to the customers, Bin Hindi Informatics expanded its retail presence with the New Samsung Experience Shop in Sultan Mall, Sheikh Zayed Town, Samsung Shop-in-Shop in Ashrafs, Hoora and Samsung Shop-in-Shop in Zain branch in Seef Mall. In addition to this, Bin Hindi Informatics recently introduced IM Zones (Imaging and Mobility Zones) in prominent retail outlets in order to provide unparalleled digital convenience and reinvent the digital Age. Also in the near future, it plans to set up the most comprehensive Samsung Customer Service Plaza in Riffa within Enaya Car Service Centre. 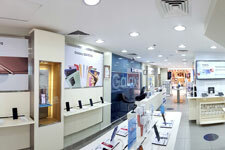 Samsung Customer Service Plaza -Riffa. A genuine endeavour for providing the ultimate in customer satisfaction, Bin Hindi Informatics pioneers not only in product brilliance but also successfully strives for service excellence. The BHI Samsung Customer Service Plaza provides state-of-the-art after - sales services for all Samsung telecommunications hardware and IT products. In the Samsung Customer Service centre, engineers based on their technological talent are handpicked and trained in the highest technical and professional standards set by Samsung globally and the ISO 9001: 2008 standards. These engineers work day in and day out making sure that customers and their favourite gadgets are not separated for a long time. Here, the average customer wait time is a meagre 1.9 minutes and average Service time is only 3.5 minutes. A testimonial to this passion and hard work is that the BHI service centre has been awarded the CSP’s achievement of Customer Wait time by Samsung Gulf Electronics. The service centre as the foundation of Bin Hindi Informatics also provides a one - of - a - kind service that provides door-to-door servicing of all handheld Samsung devices. Branded as ‘Wasel’ service, this service allows a customer to call a hotline from any place in Bahrain requesting pick up and the service centre picks up the mobile / tab from his doorstep, gets it serviced and delivers it back to the customer for a nominal fee. Our success in standing out amongst all other GCC distributors proves the amount of confidence the customers have in our products and services. We shall always strive to keep the momentum going in order to further enhance our services and maintain our leadership achieving absolute customer satisfaction. 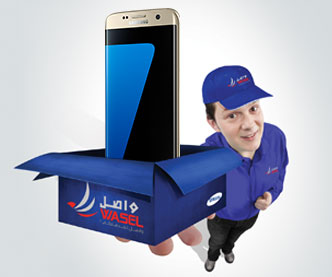 Wasel Service now at your doorstep.